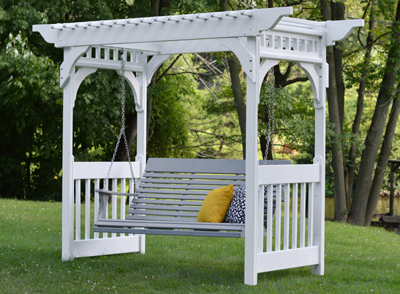 This arbor makes a great entry way to your home, garden, or backyard and makes a great focal point for your outdoor landscaping. Available in two colors, white or clay. Swing not included.